I have been a mobile software consultant + developer(Java, J2ME, Android) for over 2 years. I have done enterprise level development for large and small companies alike. Around 2010,I started doing Development for my customers.I always build clean, mobile friendly, semantic applicattion for every customer. For my clients, I get 100% involved, dedicated to making sure they get the best performance from the appliaction. I strive for long term results. I truly enjoy Mobile Development, and am very passionate about it. This enables me to do the best job for my clients. 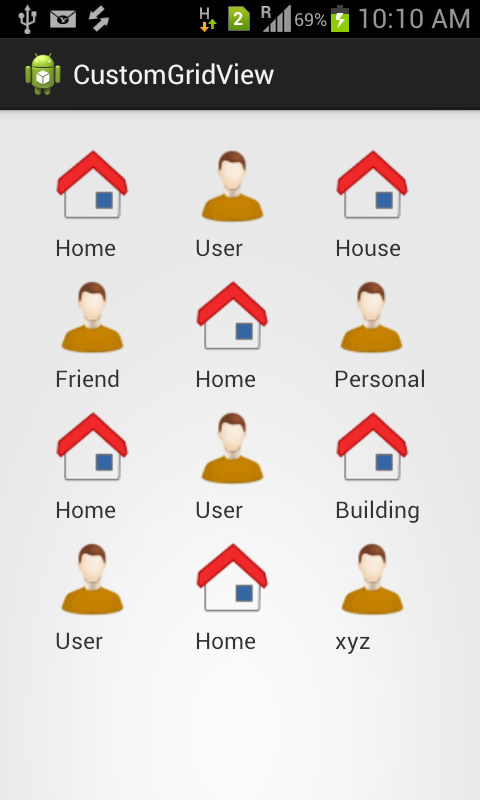 Today I am sharing very simple useful post “Custom Grid View in Android”. 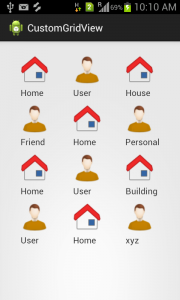 Reference: Custom Grid View Example in Android | Image and Text in GridView in Android | Gridview demo in Android from our JCG partner Manish Srivastava at the Android Hub 4 you blog. Thank you! Only with your example could write need part my app. Thank you so much Manish. It is working perfectly. I seem to have a problem with resolving ArrayList gridArray = new ArrayList(); what is that type? Where does “Item” comes from? its giving me an erro and If I import (as suggested by eclipse) the class ClipData, it still giving me an error. hii nick firstly u can download the zip code file which is present above,Item class is present in it.